The one week we don’t tip Lydia Ko and she wins! We skipped the LPGA last week – we just weren’t feeling it. And to be fair the odds on Lydia Ko were too short and not worth the value. But it was a tad frustrating when we’ve backed her a fair bit recently and she wins the Canadian Pacific Women’s Open! What a tight tournament that was too. It looked like Ko might blow it with the par while Lewis shot 5 under – but then it went to the playoff and Ko squeaked it in a thriller. Lydia Ko is not participating in this weeks Yokohama Tire LPGA Classic. M.J. Hur was the winner of this event last year. She dominated the course every day and won with a -21. Stacy Lewis was behind her at -17 and then everyone else was way off. Lewis could not repeat – she had won it 2 years prior. There was no 2013 tournament. What a brutal year it has been for Stacy Lewis. Despite a ridiculous amount of 2nd and 3rd places, she is yet to win a tournament this season. Just unbelievable – but it’s impressive that the Ohio born golfer keeps getting up there and has 7 Top 3 finishes and 10 finishes in the top 10. She’s going into a tournament where she has a rich history. 2nd place last year, winner in 2012. In 2011 she was tied for 6th too – the same year Lexi Thompson absolutely dominated it. With the field a bit light at the top – this really seems like the tournament Lewis takes to break her duck. However we are slightly worried about how her confidence will be – you can only choke so often before it really affects you. Therefore we will risk just half a unit. 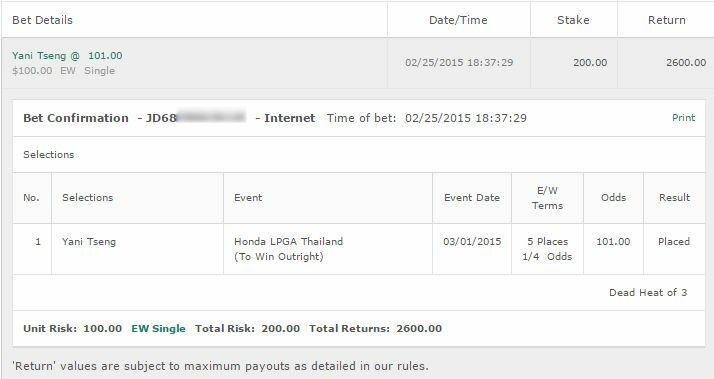 Bet: Half a unit risk on Stacy Lewis to win. 9/2 at https://www.GTBets.com. 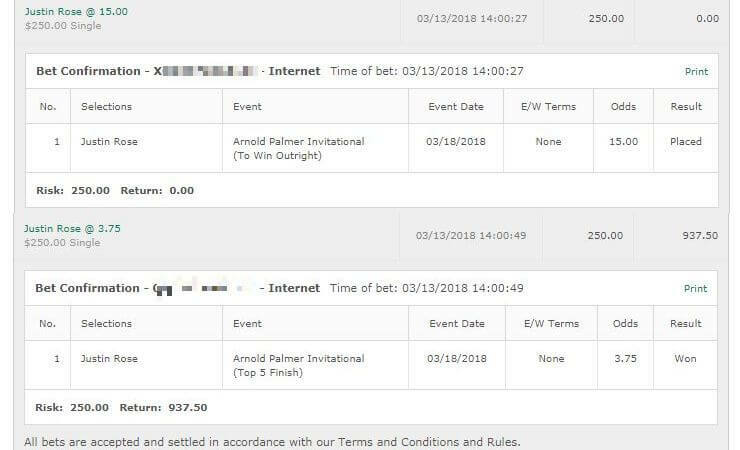 If Lewis doesn’t do it, the 10/1 Lexi Thompson should hopefully step up to the plate and with such a huge prize, we’ll risk a half unit on that. Thompson has won here before. Last year she had a disastrous run here on the 2nd day, shooting +6 and not making the cut. But she showed she can handle this course with a -2 the day before. Thompson is fresh off her win at the Meijer LPGA Classic a few weeks ago, and is warming up with two solid performances recently. Thompson is worth a half unit bet as she really looks in form at the moment. 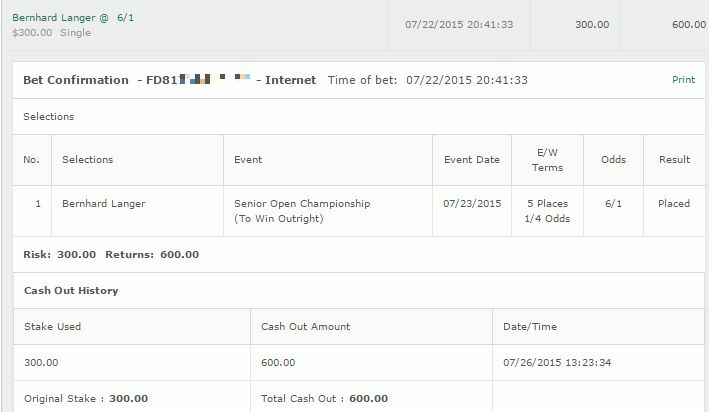 Bet: We’re risking half a unit on Lexi Thompson to win. 10/1 odds are available at https://www.GTBets.com. You can’t ignore the form Hur has displayed here. Winner last year, 3rd the tournament before. She’s not been great all year and has really been off her game, but a 12th place in the Canadian Pacific Women’s Open – is she heating up just in time? At 40/1 odds, we’re up for another half unit bet here. Place it on her to win and E/W. Bet: Mi Jung Hur to win and E/W – 40/1 at https://www.GTBets.com.